Editor’s Note: This article was originally written by Elizabeth Royte for Ensia. It makes a strong case for how much food and other economic and community benefits urban farming can produce–and thus why a yardfarming revolution is essential. Midway through spring, the nearly bare planting beds of Carolyn Leadley’s Rising Pheasant Farms, in the Poletown neighborhood of Detroit, barely foreshadow the cornucopian abundance to come. It will be many months before Leadley is selling produce from this one-fifth-acre plot. But the affable young farmer has hardly been idle, even during the snowiest days of winter. Twice daily, she has been trekking from her house to a small greenhouse in her side yard, where she waves her watering wand over roughly 100 trays of sprouts, shoots and microgreens. She sells this miniature bounty, year round, at the city’s eastern market and to restaurateurs delighted to place some hyperlocal greens on their guests’ plates. Leadley is a key player in Detroit’s vibrant communal and commercial farming community, which in 2014 produced nearly 400,000 pounds (18,000 kg) of produce — enough to feed more than 600 people — in its more than 1,300 community, market, family and school gardens. Other farms in postindustrial cities are also prolific: In 2008, Philadelphia’s 226 community and squatter gardens grew roughly 2 million pounds of mid-summer vegetables and herbs, worth US$4.9 million. Running at full bore, Brooklyn’s Added-Value Farm, which occupies 2.75 acres, funnels 40,000 pounds of fruit and vegetables into the low-income neighborhood of Red Hook. And in Camden, New Jersey — an extremely poor city of 80,000 with only one full-service supermarket — community gardeners at 44 sites harvested almost 31,000 pounds (14,000 kg) of vegetables during an unusually wet and cold summer. That’s enough food during the growing season to feed 508 people three servings a day. That researchers are even bothering to quantify the amount of food produced on tiny city farms — whether community gardens, like those of Camden and Philly, or for-profit operations, like Leadley’s — is testament to the nation’s burgeoning local-foods movement and its data-hungry supporters. Young farmers are, in increasing numbers, planting market gardens in cities, and “local” produce (a term with no formal definition) now fills grocery shelves across the U.S., from Walmart to Whole Foods, and is promoted in more than 150 nations around the world. The Food and Agriculture Organization of the United Nations reports that 800 million people worldwide grow vegetables or fruits or raise animals in cities, producing an astonishing 15 to 20 percent of the world’s food. In developing nations, city dwellers farm for subsistence, but in the U.S., urban ag is more often driven by capitalism or ideology. The U.S. Department of Agriculture doesn’t track numbers of city farmers, but based on demand for its programs that fund education and infrastructure in support of urban-ag projects, and on surveys of urban ag in select cities, it affirms that business is booming. How far — and in what direction — can this trend go? What portion of a city’s food can local farmers grow, at what price, and who will be privileged to eat it? And can such projects make a meaningful contribution to food security in an increasingly crowded world? Like anyone who farms in a city, Leadley waxes eloquent on the freshness of her product. Pea shoots that have traveled 3 miles (4.8 km) to grace a salad are bound to taste better and be more nutritious, she says, than those that have traveled half a continent or farther. “One local restaurant that I sell to used to buy its sprouts from Norway,” Leadley says. Fresher food also lasts longer on shelves and in refrigerators, reducing waste. Despite their relatively small size, urban farms grow a surprising amount of food, with yields that often surpass those of their rural cousins. This is possible for a couple reasons. First, city farms don’t experience heavy insect pressure, and they don’t have to deal with hungry deer or groundhogs. Second, city farmers can walk their plots in minutes, rather than hours, addressing problems as they arise and harvesting produce at its peak. They can also plant more densely because they hand cultivate, nourish their soil more frequently and micromanage applications of water and fertilizer. As social enterprises, community gardens operate in an alternate financial universe: they don’t sustain themselves with sales, nor do they have to pay employees.Though they don’t get as much press as for-profit farms and heavily capitalized rooftop operations, community gardens — which are collectively tended by people using individual or shared plots of public or private land, and have been a feature in U.S. cities for well over a century — are the most common form of urban agriculture in the nation, producing far more food and feeding more people, in aggregate, than their commercial counterparts. As social enterprises, community gardens operate in an alternate financial universe: they don’t sustain themselves with sales, nor do they have to pay employees. Instead, they rely on volunteer or cheap youth labor, they pay little or nothing in rent, and they solicit outside aid from government programs and foundations that support their social and environmental missions. These may include job training, health and nutrition education, and increasing the community’s resilience to climate change by absorbing stormwater, counteracting the urban heat island effect and converting food waste into compost. Few would begrudge Ayer her loss leader, but such practices can undercut for-profit city farmers who are already struggling to compete with regional farmers at crowded urban markets and with cheap supermarket produce shipped from California and Mexico. Leadley, of Rising Pheasant Farms, realized long ago that she wouldn’t survive selling only the vegetables from her outdoor garden, which is why she invested in a plastic-draped greenhouse and heating system. Her tiny shoots, sprouts, amaranth and kohlrabi leaves grow year-round; they grow quickly — in the summer, Leadley can make a crop in seven days — and they sell for well over a dollar an ounce. 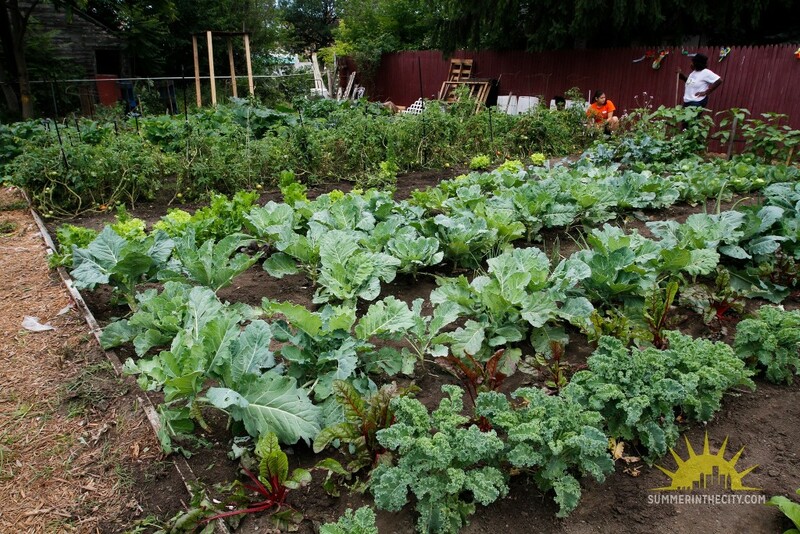 Nodding toward her backyard plot, Leadley says, “I grow those vegetables because they look good on the farm stand. They attract more customers to our table, and I really love growing outdoors.” But it’s the microgreens that keep Leadley from joining the ranks of the vast majority of U.S. farmers and taking a second job. Mchezaji Axum, an agronomist with the University of the District of Columbia, the first exclusively urban land-grant university in the nation, helps urban farmers increase their yields whether they are selling into wealthy markets, like Leadley, or poorer markets, like Ayer. He promotes the use of plant varieties adapted to city conditions (short corn that produces four instead of two ears, for example). 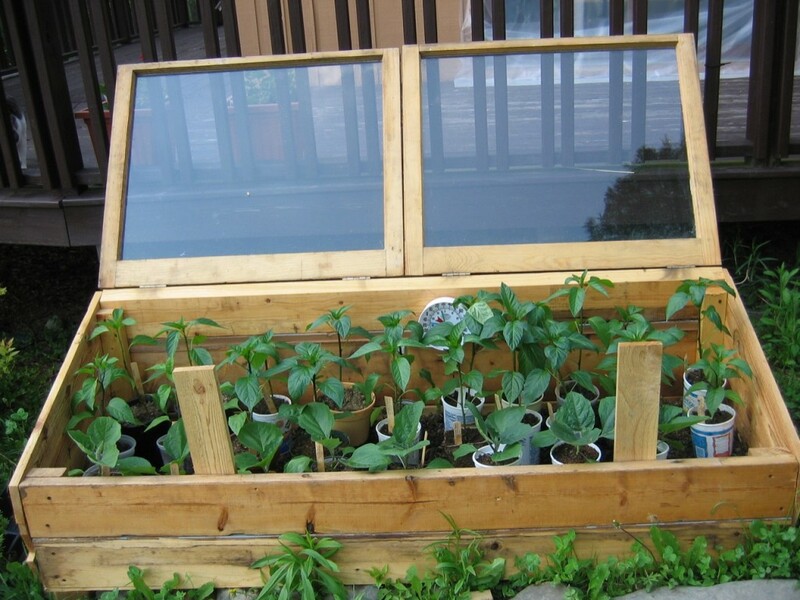 He also recommends biointensive methods, such as planting densely, intercropping, applying compost, rotating crops and employing season-extension methods (growing cold-tolerant vegetables like kale, spinach or carrots in winter hoop houses, for example, or starting plants in cold frames — boxes with transparent tops that let in sunlight but protect plants from extreme cold and rain). “You learn to improve your soil health, and you learn how to space your plants to get more sunshine,” Axum says. Surveying D.C.’s scores of communal gardens, Axum has been surprised by how little food they actually grow. “People aren’t using their space well. More than 90 percent aren’t producing intensively. Some people just want to grow and be left alone. Axum is all about scaling up and aggregating hyperlocal foods to meet the demands of large buyers like city schools, hospitals or grocery stores. Selling to nearby institutions, say food policy councils — established by grassroots organizations and local governments to strengthen and support local food systems — is key to making urban food systems more sustainable and resilient, to say nothing of providing a living to local growers. But scaling up often requires more land, and therefore more expensive labor to cultivate it, in addition to changes in local land use and other policies, marketing expertise and efficient distribution networks. Link doesn’t grow microgreens — the secret sauce for so many commercial operations — because he can break even on volume: His farm occupies an entire city block. 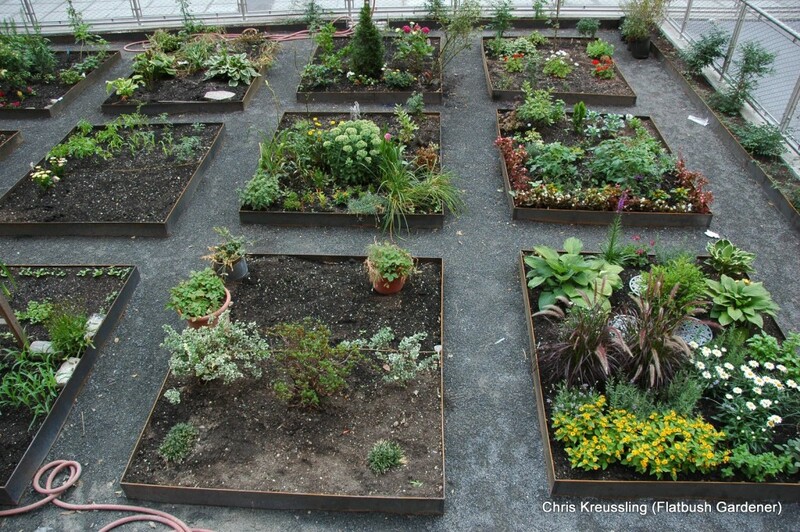 Annie Novak, who co-founded New York City’s first for-profit rooftop farm in 2009, doesn’t have the luxury of space. She realized early on that she couldn’t grow a wide enough diversity of food to satisfy her community-supported agriculture customers in just 5,800 square feet (540 square meters) of shallow raised beds. “So I partnered with a farm upstate to supplement and diversify the boxes,” she says. Now, Novak focuses on niche and value-added products. “I make a hot sauce from my peppers and market the bejesus out of it,” she says. She also grows microgreens for restaurants, plus honey, herbs, flowers and “crops that are narratively interesting, like purple carrots, or heirloom tomatoes, which give us an opportunity to educate people about the value of food, green spaces and our connection to nature,” she says. Sometimes being strategic with crop selection isn’t enough. Brooklyn Grange, a for-profit farm atop two roofs in New York City, grows more than 50,000 pounds (23,000 kg) of tomatoes, kale, lettuce, carrots, radishes and beans, among other crops, each year. It sells them through its CSA, at farm stands and to local restaurants. But to further boost its income, Brooklyn Grange also offers a summerlong training program for beekeepers (US$850 tuition), yoga classes and tours, and it rents its Edenic garden spaces, which have million-dollar views of the Manhattan skyline, for photo shoots, weddings, private dinners and other events. On a miserable March morning, with a sparkling layer of ice glazing a foot of filthy snow, a coterie of Chicago’s urban farmers toils in shirtsleeves and sneakers, their fingernails conspicuously clean. In their gardens, no metal or wood scrap accumulates in corners, no chickens scratch in hoop-house soil. In fact, these farmers use no soil at all. Their densely planted basil and arugula leaves sprout from growing medium in barcoded trays. The trays sit on shelves stacked 12 feet (3.7 meters) high and illuminated, like tanning beds, by purple and white lights. Fans hum, water gurgles, computer screens flicker. [W]ith 25 high-density crops per year, as opposed to a conventional farmer’s five or so, CEA yields are 10 to 20 times higher than the same crop grown outdoors.FarmedHere, the nation’s largest player in controlled environment agriculture — CEA —pumps out roughly a million pounds (500,000 kg) per year of baby salad greens, basil and mint in its 90,000-square-foot (8,000-square-meter) warehouse on the industrial outskirts of Chicago. Like many hydroponic or aquaponic operations (in which water from fish tanks nourishes plants, which filter the water before it’s returned to the fish), the farm has a futuristic feel — all glowing lights and stainless steel. Employees wear hairnets and nitrile gloves. But without interference from weather, insects or even too many people, the farm quickly and reliably fulfills year-round contracts with local supermarkets, including nearly 50 Whole Foods Markets. “We can’t keep up with demand,” Nick Greens, a deejay turned master grower, says. Unlike outdoor farms, CEA has no call for pesticides and contributes no nitrogen to waterways. Its closed-loop irrigation systems consume 10 times less water than conventional systems. And with 25 high-density crops per year, as opposed to a conventional farmer’s five or so, CEA yields are 10 to 20 times higher than the same crop grown outdoors — in theory sparing forests and grasslands from the plow. 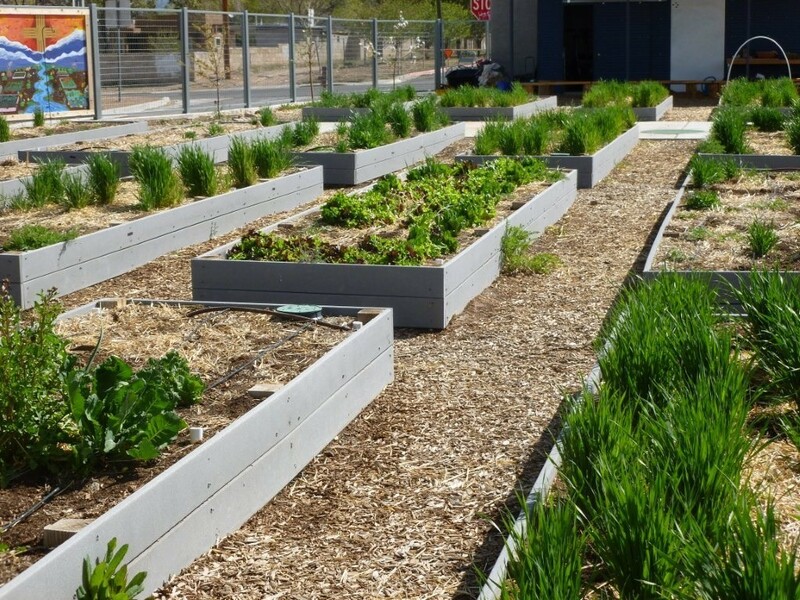 Is CEA the future of urban farming? It produces a lot of food in a small space, to be sure. But until economies of scale kick in, these operations — which are capital intensive to build and maintain — must concentrate exclusively on high-value crops like microgreens, winter tomatoes and herbs. Reducing food miles reduces transit-related costs, as well as the carbon emissions associated with transport, packaging and cooling. But growing indoors under lights, with heating and cooling provided by fossil fuels, may negate those savings. When Louis Albright, an emeritus professor of biological and environmental engineering at Cornell University, dug into the numbers, he discovered that closed-system farming is expensive, energy intensive and, at some latitudes, unlikely to survive on solar or wind power. Growing a pound of hydroponic lettuce in Ithaca, New York, Albright reports, generates 8 pounds (4 kg) of carbon dioxide at the local power plant: a pound of tomatoes would generate twice that much. 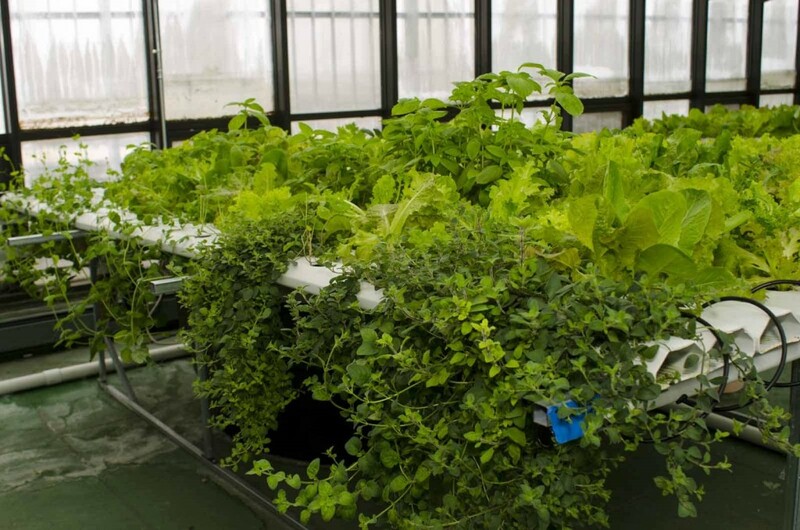 Grow that lettuce without artificial lights in a greenhouse and emissions drop by two thirds. In the world’s poorest nations, city dwellers have always farmed for subsistence. But more of them are farming now than ever before. In sub-Saharan Africa, for example, it’s estimated that 40 percent of the urban population is engaged in agriculture. Long-time residents and recent transplants alike farm because they’re hungry, they know how to grow food, land values in marginal areas (under power lines and along highways) are low, and inputs like organic wastes — fertilizer — are cheap. Another driver is the price of food: People in developing nations pay a far higher percentage of their total income for food than Americans do, and poor transportation and refrigeration infrastructure make perishable goods, like fruits and vegetables, especially dear. Focusing on these high-value crops, urban farmers both feed themselves and supplement their incomes. In the U.S., urban farming is likely to have its biggest impact on food security in places that, in some ways, resemble the global south — that is, in cities or neighborhoods where land is cheap, median incomes are low and the need for fresh food is high. Detroit, by this metric, is particularly fertile ground. Michael Hamm, a professor of sustainable agriculture at Michigan State University, calculated that the city, which has just under 700,000 residents and more than 100,000 vacant lots (many of which can be purchased, thanks to the city’s recent bankruptcy, for less than the price of a refrigerator), could grow three quarters of its current vegetable consumption and nearly half its fruit consumption on available parcels of land using biointensive methods.